A lowkey mobile team shirt that was distributed summer 2006. See the Google balls on the phone screen. Subtle, eh? Maybe there’s something on the back of the t, but i don’t recall. 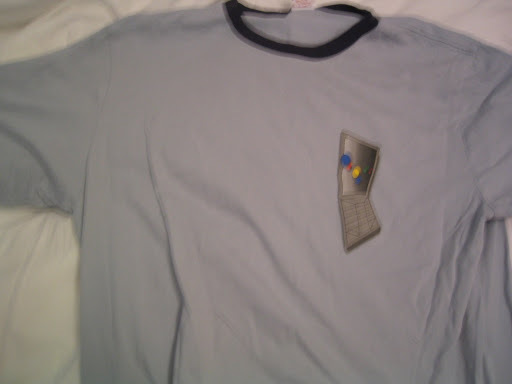 This is a nice one because it’s a ringer shirt w/o following the normal “white t, dark rings” format.